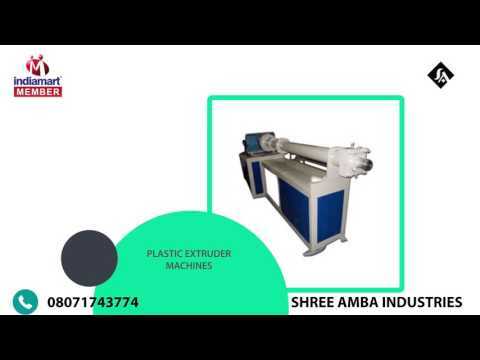 Inaugurated in the year 1994, Shree Amba Industries, is considered amongst the prominent manufacturer and wholesaler of Pipe Making Machine. Our range includes Pipe Machine, Extruder Machine and Vacuum Tank. Offered in various capacities and other related specifications as per the preferences laid by our clients, these products are manufactured by our adroit industry experts as per the set international standards. Moreover, these products are checked by our quality controllers on diverse parameters that ensures their flawlessness. Our products find wide application in producing drinking water, industrial water, pharmaceutical water, waste water treatment and concentration of food and/or medicine.